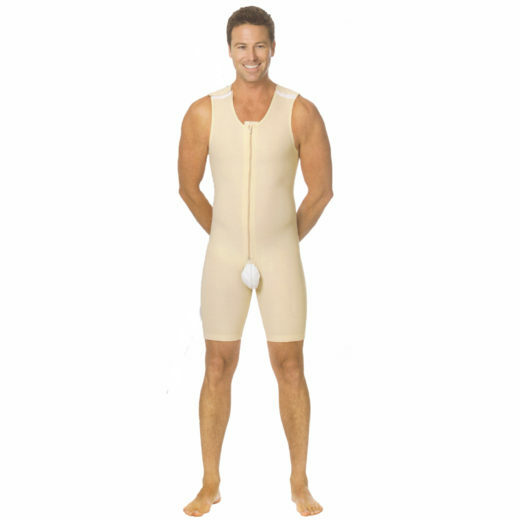 Marena Male Post Surgical Bodysuit (MB) is a surgical grade compression garment. The bodysuit provides firm compression to the chest, abdomen, back and upper thighs. 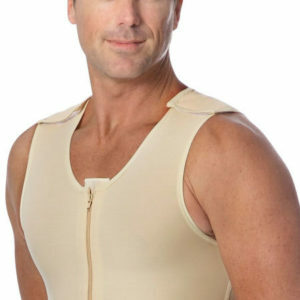 It has front hook and eye closure, open crotch and adjustable shoulder. 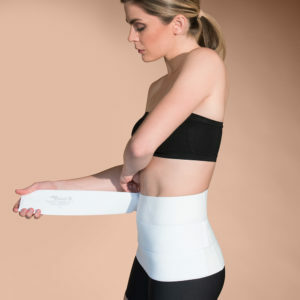 Suitable for all chest, upper back and upper abdominal procedures.